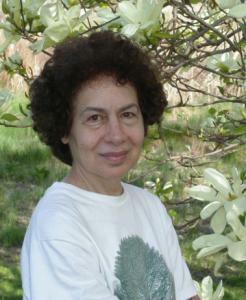 As a young literature scholar, Evelyn Shakir delved into the established canon. She wrote perceptively about the British Romantic poet William Wordsworth and read the novel “Emma’’ by his contemporary, Jane Austen so frequently that friends thought surely she could recite entire chapters. Another world tugged at her own writer’s heart, though. In West Roxbury, she grew up in an area populated by the families of immigrants from Lebanon. More than 30 years ago, Dr. Shakir began collecting and telling their stories, particularly narratives of women who made the tapestries of their lives from cultural cloth spun from past and present. With a pair of books published in 1997 and 2007, she used short stories and nonfiction to give voice to Arab-American women and to help promote in the United States a new niche of world literature. Dr. Shakir, who taught writing for many years at Bentley University in Waltham, where she was a professor emerita, died of complications of cancer Sunday in the Boston Center, a rehabilitative care facility in West Roxbury. She was 71 and lived in West Roxbury. As a doctoral student, she studied with the renowned literary critic Helen Vendler. In “Remember Me to Lebanon: Stories of Lebanese Women in America,’’ a 2007 short story collection that won the Arab American National Book Award for adult fiction two years ago, Dr. Shakir “was very sensitive to the nuances of relationships,’’ said Pierce Butler, a friend and colleague who is writer-in-residence at Bentley. Dr. Shakir’s earlier work was perhaps more surprising. A decade before publishing her short stories, she wrote “Bint Arab,’’ for which she interviewed Arab-American women and added to their experiences the histories of her mother and grandmothers. “This book is not a solo performance; many voices join in,’’ she wrote in the introduction to the 1997 book, which includes a section called “Collage’’ that is a quilt of quotations she gathered. In part, Dr. Shakir used the book to chronicle the gradual shift among children of immigrants, principally from Lebanon and Palestine, as they moved from trying to erase their heritage through assimilation to adding the word Arab when describing themselves as American. Evelyn Catherine Shakir grew up in West Roxbury, the younger of two children. She graduated in 1956 from Girls’ Latin School in Boston, and received a bachelor’s degree from Wellesley College, where she studied English. Dr. Shakir received a master’s from Harvard and a doctorate from Boston University, where she studied with Vendler. That search started shaping itself into a calling in the late 1970s, when she helped transcribe the meeting minutes of an organization of Arab-American women to which her mother belonged. In the women’s voices, Dr. Shakir heard the past and present collide, sometimes with unexpected results. “When I read her collection of short stories, they were just so funny and smart, and her own individual view of feminism upset our stereotypes,’’ McJannet said. As Dr. Shakir wrote “Bint Arab,’’ she examined the lives of ancestors, including her grandmother Miriam, who had died before she was born. Because Dr. Shakir’s mother had died in 1990, she wondered who would remember Miriam. Dr. Shakir also taught at other colleges, including Northeastern and Tufts universities. A senior Fulbright scholar, she taught in the Middle East at the University of Bahrain and the University of Damascus. “She was a teacher who really allowed space for students to explore their own lives,’’ Butler said. Nevertheless, Ellenbogen said, she pushed students to do their best, even if that meant rewriting a paper four or six times. In addition to Ellenbogen, Dr. Shakir leaves a brother, Philip of West Roxbury. A memorial gathering will be announced. Her family plans to receive visitors from 5 to 8 p.m. today in Kfoury Keefe Funeral Home in West Roxbury.